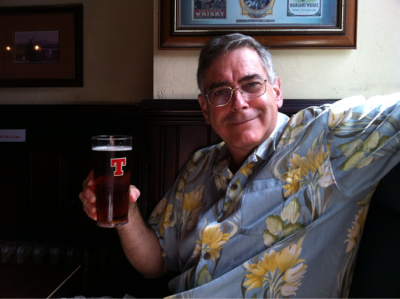 Greetings from Glasgow, Scotland! Shannon and I will spend 4 nights here before starting our 85 mile walk across Hadrian’s Wall. 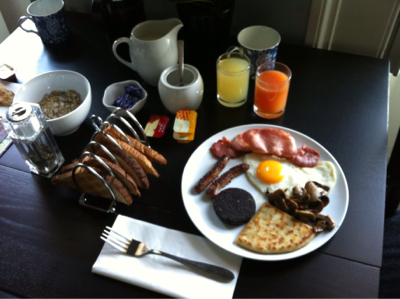 Shannon started off the day with a full Scottish breakfast including fried egg, bacon, sausages, potato scone, black pudding and mushrooms. I had muesli (oatmeal not an option here) and toast. Mmmmm. 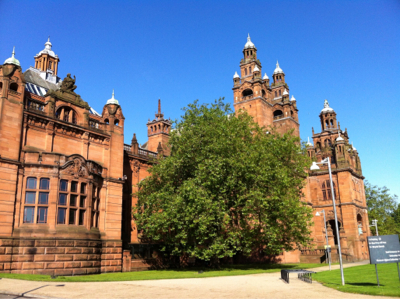 Then off for a walk through the West End and the Kelvingrove Art Gallery, the park and Glasgow University. We have a couple more days in Glasgow and then off to England to walk across the country. Lots of great architecture here with winding streets whose names change every block or so to make it really confusing for tourists. Also some great Indian food! I haven’t had great Indian food since the last time I was in England. Don’t worry though. Despite all of the educational and architectural opportunities here I have still had the time to stop for a pint at the local pub. There are lots of pubs and lots of opportunity for a pint. Nice pint of Tennants “Heavy” there I think. Hope you enjoyed your time in Glasgow, my hometown, although I have lived in Queensland Australia for a little over two years now. Still miss Glasgow though, hence searching for blogs with “Glasgow” Tags.